The US Army Ordnance Museum building is genuinely small and anticlimactic. Inside the two story dark brick building is a single tiny Renault 35 tank and a superb collection of small arms - rifles, machine guns and a few mortars. It's free, though I dropped $20 into the foyer donation box. You won't get much out of the place on a rainy day since almost all the tanks are outside. But outside is the best outdoor collection of AFVs I have seen. The natural light and setting makes for great photography. 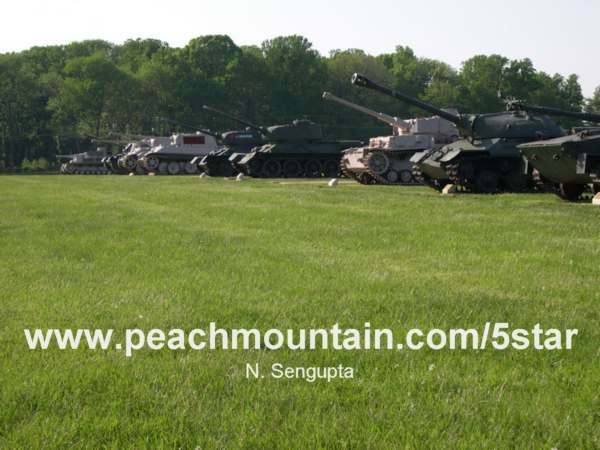 The tank park sits on a vast, slightly undulating, field gridded with a series of twin concrete pads (think big "=" signs) for the tanks. 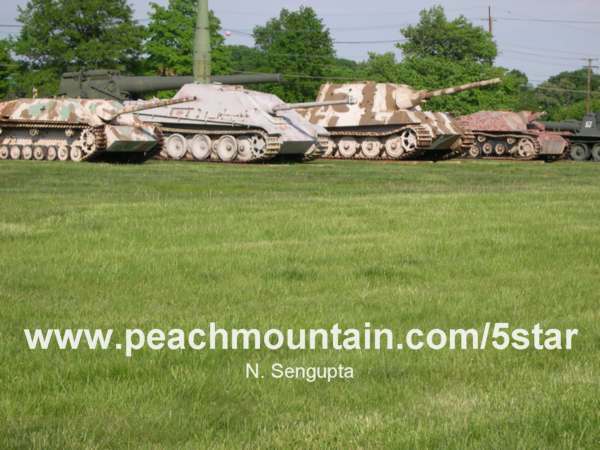 There are around 400 tank photos on this US Army Ordnance Museum - Aberdeen Proving Ground website. Tanks detailed include: Renault R-35 tank, Grant tank, Sherman tank, Leopard I tank, Panzer I tank, Panzer III, Panzer IV, Panzer V, T-34 tank, T-34/85 tank, T-72M tank, Matilda, M7 Priest, Conqueror and the Stalin tank (IS-3 tank). The US Army Ordnance Museum's collection is as good as the Patton Tank Museum, though not as large as the Saumur tank museum - Musee des Blindes. Some stars were missing: Tiger tank, King Tiger tank, FT-17, Somua S-35, KV-1 (though I saw a photo of both tanks at the US Army Ordnance Museum prior to my trip), etc. But there were many empty storage pads, so probably the tanks are being restored. 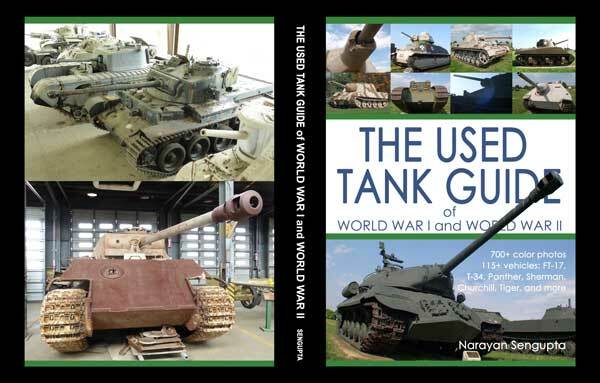 Many tanks I assumed the US Army Ordnance Museum would have were also missing: the impressive US M6 tank, the different variants of Sherman tanks, different American tanks evolved from the Sherman tank (T20 tank, T21 tank, T22 tank, T23 tank, T24 tank, T25 tank and T26 tank) leading to the M26 Pershing tank, etc. Were all these prototypes scrapped? The museum has the best collection of artillery I have seen and unusual AFVs such as two experimental Pzkw IV tanks. From Baltimore take I-95 North to exit 80 (Riverside/Churchville), then MD 543 South then US 40 East then MD 715 to the APG Visitor Center. From Delaware take I-95 South to exit 85, then left onto MD 22, then right (Follow US 40 Sign) then left then right onto US 40 West, 2 miles to MD 715 to the APG Visitor Center.